San Carlos is surrounded by noise sensitive areas. Check your knowledge about noise abatement procedures. 1. At SQL, when should touch-and-goes be avoided? 2. On weekends, how early can you begin pattern practice? 3. On weekdays, how late can you do pattern operations? Announcing the new 2016 summer camps for young pilots; AeroCamp I, AeroCamp II, and HoverCamp. These four-day camps give teens the chance to gain insider knowledge in the world of aviation and explore the possibilities of careers. Summer is just around the corner, now is the time to get checked out in time to grab a couple more endorsements, and two more offerings from San Carlos Shirt Center. 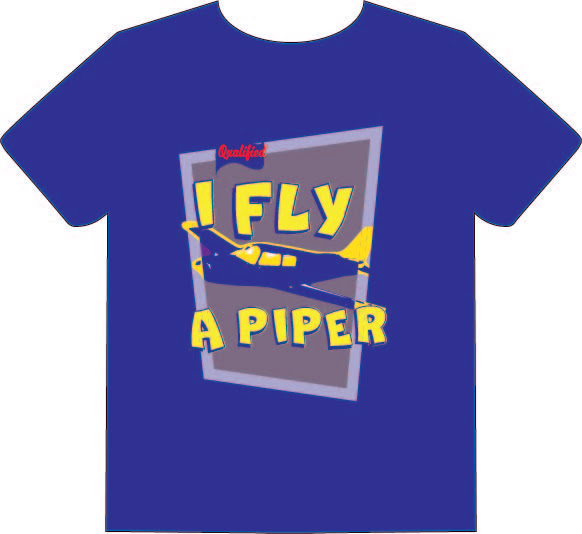 Get checked out in one of our Pipers and get a snazzy purple pop art Piper shirt. 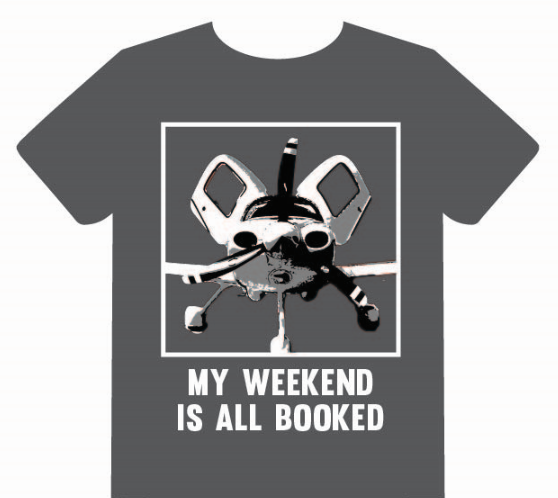 Or explore a sleek and fast aircraft with our Cirrus SR20 and flaunt an awesome Cirrus shirt on your next weekend getaway. Additional type checkouts add depth to any private pilot and give you more options for cool day trips and weekend getaways. On May 7, 2016 Hiller Aviation Museum will be closing the runway for their "Biggest Little Airshow". 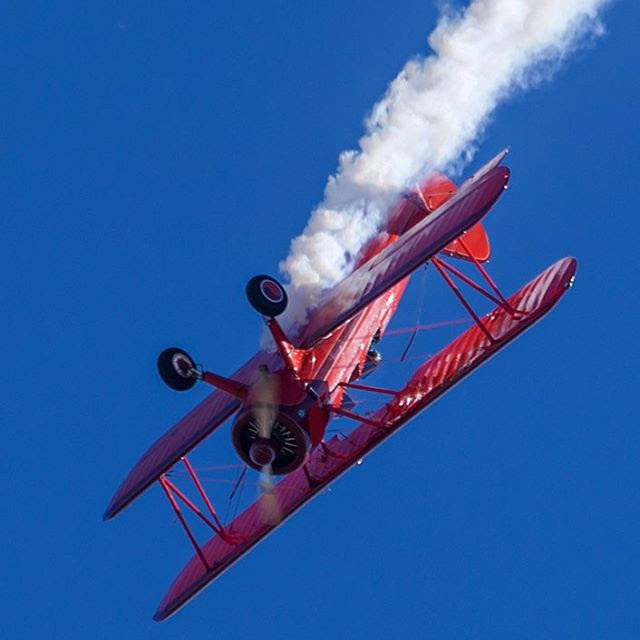 San Carlos Airport will close to regular traffic from 10:30 am to noon to allow realistic jet- and propeller-powered model aircraft to roll down the runway and into the sky to take their part in a unique aerial extravaganza including aerobatic helicopters, drones, quadrotors and more. Join us after for the SCFC Monthly BBQ! 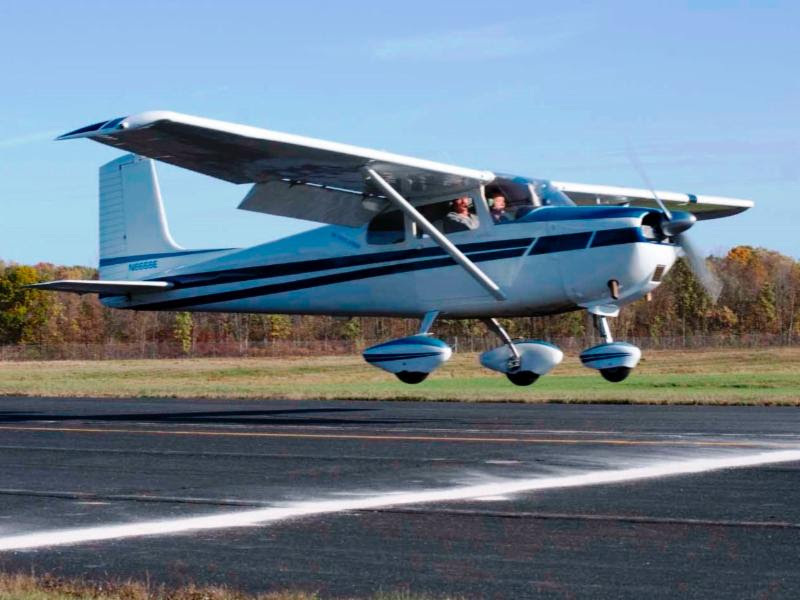 Have you ever flown a long cross-country flight and spent 20 minutes perfecting the engine lean? 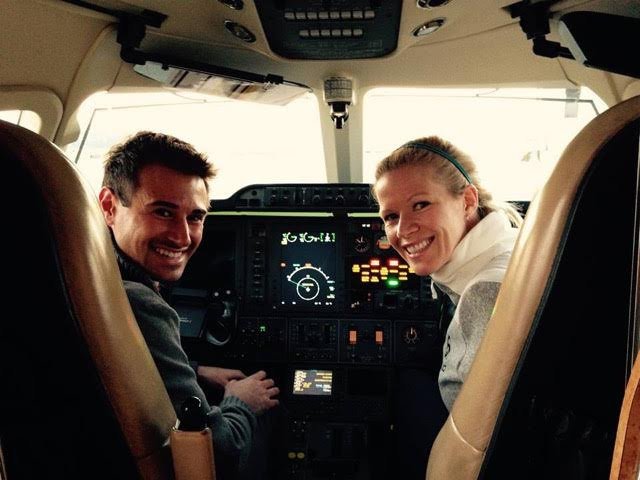 Do you know what all 13 pages contain on a Garmin G1000 MFD? 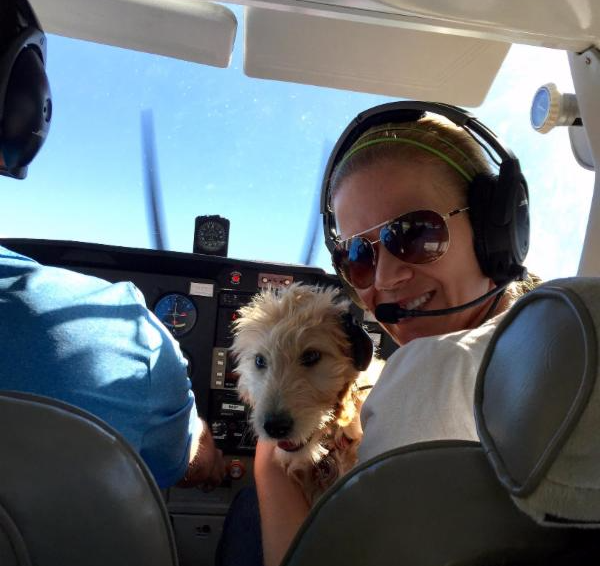 Can you catch even the tiniest autopilot deviations? If so, your quest for excellence may be putting you at risk. 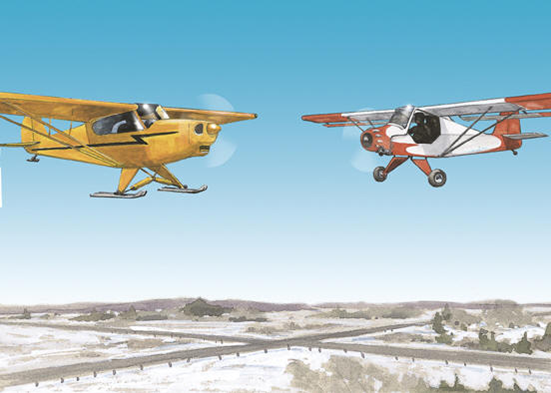 The important action is outside the aircraft, watching for traffic, avoiding a mid-air collision. Pilots train for all sorts of inflight emergencies so that when faced with the unexpected we can get our passengers to safety. But there is one emergency we cannot train you to survive, only to avoid - a mid-air collision. Keep your eyes outside as much as possible. Train your passengers to keep their eyes outside and call out conflicting traffic. Remember, aircraft at the level of the horizon are at your altitude. And do not forget the two biggest blind spots: above and below the aircraft. Keep your eyes outside most of the time, but do not neglect occasional quick checks of the gauges and warning lights. A healthy aircraft relies on the proper operation of many systems including the electrical system. Occasional quick checks are important. A failed alternator can be identified early with a quick check of the ammeter. 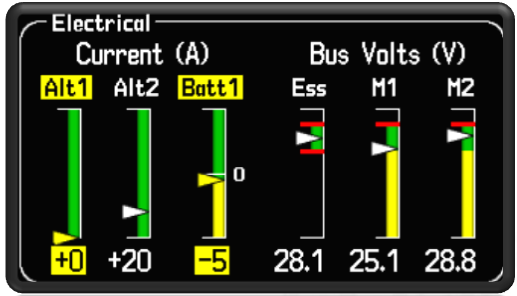 Many aircraft have warning lights that indicate low voltage, but those often occur well after the alternator failure. Become familiar with the type and location of your electrical system gauges so that you can tell the health of the system with a quick glance. And refresh your knowledge on the proper procedures to deal with faults. Do not let an alternator failure go undetected to the point that it limits the options you have. 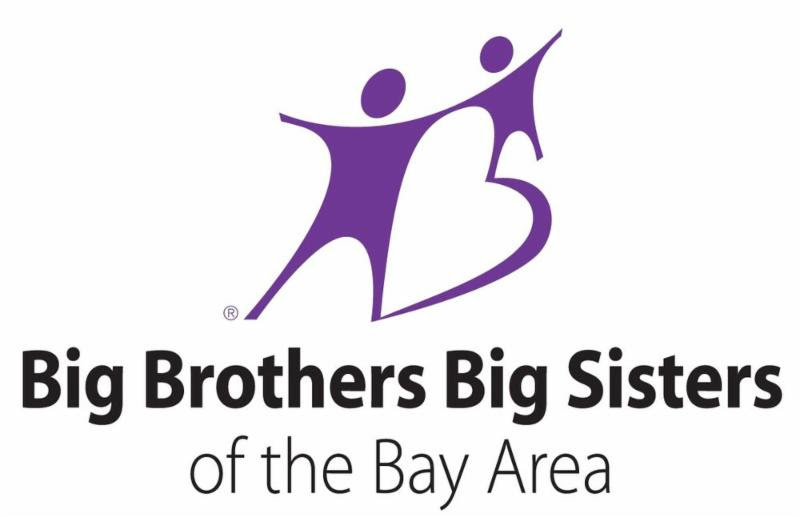 San Carlos Flight Center is proud to support the Big Brothers Big Sisters of the Bay Area. We are excited to donate a Scenic San Francisco Helicopter Tour for their upcoming silent auction. Big Brothers Big Sisters of the Bay Area is embarking upon its 57th year serving local children facing adversity with strong and enduring, one-to-one mentoring relationships that change their lives for the better. They currently have over 800 children waiting to be matched with a positive role model. SCFC is an active participant in our local community. Contact us to let us know how we can support your local charity. SCFC: How did you both get involved in aviation? Daniel: It has been a lifelong dream for me. As a child my father brought me up to the flight deck on every airline flight the family took, and every year we visited the Paris air show at Le Bourget. I got my Private in North Carolina as soon as I graduated from university and started working out there. Kat: The aviation bug bit me on the very first Bay Tour I took with Daniel when we were dating. I was blown away by the freedom to just "park the airplane" wherever we decided to stop for food. SCFC: How does it feel to be on this journey together? What has been your favorite part of going through this process as a couple? Daniel: Over the years we have flown all across the West and enjoyed some great adventures together. Gone are the days of coaxing colleagues and friends into flying with me - Kat is always up for a $100 hamburger. I love sharing my passion for aviation with Kat, and all the questions she asks make me think, learn, and improve my pilot chops. SCFC: If you could choose one word to describe your favorite part of flying, what would it be? 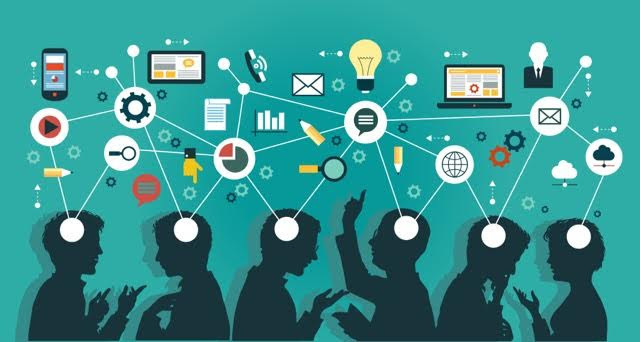 SCFC: What is something that your partner is great at that has inspired you to work toward in your aviation journey? Kat: We both love the outdoors; we love to ski, hike with our dog, scuba-dive, and cook. Daniel flies paragliders on the coast (watch out for him when you are flying past Pacifica) and I teach, choreograph and perform modern dance. The Bay Area FlyOutGroup are heading back to Colorado from June 29 to July 3 for some awesome Rocky Mountain flying! We will take the northern route through Utah, landing at the Class B KSLC for an overnight stay in Salt Lake City. Day two we journey into the heart of the Rockies for a two-night stay in Salida, Colorado, our home base for mountain flying. Salida is situated among the best mountain passes and a few minutes south of the famous Leadville Airport, North America's highest airport at 9927'. Day Four we overfly the Grand Canyon en route to Las Vegas. Each plane will have 1 CFI and 2 pilots on board. The trip is a great opportunity to complete your G1000 avionics or airplane-specific checkout and earn your high performance endorsement. It promises to be an unforgettable flying adventure with plenty of room for ground-based fun as well. Call (650)946-1700 or click here to sign up today! Breweries, skiing, hiking, golf, beautiful views and much more! 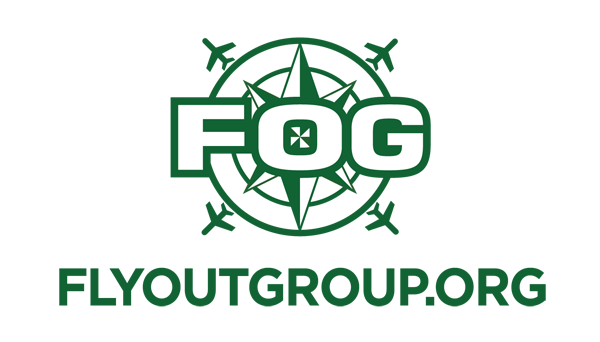 Join our FlyOutGroup for our first ever visit to Sunriver, Oregon! This high desert town is sunken into a beautiful valley and is home to one of the richest volcano fields in North America. Among the many beautiful sights is the stunning Mt. Bachelor, an active volcano approximately 10 miles Northwest of Sunriver. There is no shortage of activities to keep you busy whether it is an early morning fishing adventure, an afternoon hike, or a night out at the local breweries. This trip has a little something to satisfy everyone's vacation desires. 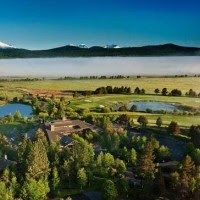 Do not miss out on the FlyOutGroup's debut of the Sunriver Getaway! Call (650)946-1700 or click here to sign up today! Put your pilot skills to the test at the 2016 SCFC Landing Contest. This year's contest will be held at Rio Vista Airport from 11:00am - 2:00pm. Landings will be evaluated in three divisions: student pilots, private pilots, and flight instructors. In each division, three types of landings will be evaluated: normal, soft-field and power-off. All three types of landings will be evaluated for stabilized approach, smooth roundout and flare, and gentle touchdown, and ground roll. Pilots are welcome to make as many landings of the three types as they want, and their highest score of each type will count toward the competition. Do you know of a pilot coming home to the Bay Area from college? The Flight Center has always been a place for people who love aviation to come together to learn. In the past, we have welcomed high school students who helped with aircraft cleaning, maintenance, and at the front desk. This year, we are shifting our summer internship program to college students and pilots interested in Marketing, Event Planning, and Syllabus Development. They can spend a summer immersed in aviation and learning how to do what the Flight Center does best. Interested students should contact Dan Dyer at dan@sancarlosflight.com.